Despite major advances in drugs and medical treatments, maintaining a healthy diet, being physically active, and not smoking are still the best approaches to preventing heart disease. Improving your diet lowers your risk for heart disease in many ways, including helping to lower high cholesterol, blood pressure, and blood sugar and insulin levels, as well as preventing obesity and improving the function of your heart and blood vessels. A crucial take-home message of this report is to consider the types of foods that you eat and your overall dietary pattern, rather than focusing on individual nutrients such as fat, dietary cholesterol, or specific vitamins. There are no single nutrients or vitamins that can make you healthy. Rather, there is a short list of key foods that together can dramatically reduce your risk for heart disease. A closely related, second take-home message is that you cannot simply eat “everything in moderation.” Among different foods, there are clear winners and losers when it comes to risk of heart disease, weight gain, and diabetes. You want to stock up on the right foods, and minimize the harmful foods. The rest of this report will explore practical steps for eating your way to a healthy heart. Fortunately, a heart-healthy diet is relatively easy to define — as you’ll see in the pages to follow. More great news: you don’t have to give up great-tasting food to eat for your heart, as you’ll see when you get to the recipes section of this report. In 2011, a review article on the subject of nutrition and heart disease was published in the journal Circulation. It looked at the recent scientific evidence on the effects selected foods have on the heart. This section is based mostly on these findings, as well as other select, important studies. Note that the serving amounts and sizes are based on a 2,000-calorie diet. The amount of calories you need may be less or more than that, which will alter the servings you need to consume. The bottom line on foods to eat and avoid is summarized in the table. Choose a variety of fruits and vegetables every day. Eat canned or frozen varieties (no salt added) when fresh aren’t convenient. Don’t simply add whole grains to your diet; eat them in place of starches (like potatoes), refined carbohydrates (like white bread, white rice, and low-fiber breakfast cereals), and sweets. Oily, cold-water fish, such as salmon, herring, sardines, and tuna, contain higher levels of heart-healthy omega-3 fats. 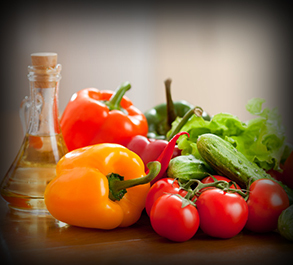 Healthy vegetable oils include extra virgin olive, canola, peanut, corn, soybean, safflower, and cottonseed oils. All types of nuts contain beneficial compounds, so, simply choose a variety that you like, such as peanuts, almonds, walnuts, cashews, etc. More study is needed to determine exactly which type of dairy is best for the heart, but based on the current evidence, most dietary guidelines recommend low-fat milk, cheese, and yogurt over full-fat versions, and avoiding butter. Unprocessed red meats include fresh beef, lamb, or pork. Unprocessed red meats don’t seem to raise risk of heart disease very much, but there is no evidence that red meat is good for the heart, and there are healthier protein choices, such as fish and nuts, which will greatly reduce your risk. Poultry is also a better choice than red meats, although not as heart-healthy as fish or nuts. Like unprocessed red meats, there’s little evidence that eggs raise risk very much, but also no evidence that eggs are good for the heart. If you want to enjoy an occasional egg, make it healthier by cooking in vegetable oils and adding spinach, tomatoes, and other vegetables. Processed meats are those preserved using salts or other preservatives such as nitrites. They include hot dogs, bacon, sausage, salami, and other processed deli or luncheon meats — including deli ham, turkey, bologna, and chicken. Refined or processed foods include white bread, white rice, low-fiber breakfast cereals, and sweets and sugars. Avoid or limit sugar- sweetened soda, energy drinks, iced teas, and fruit drinks. A 12-ounce can of soda contains the equivalent of 10 teaspoons of table sugar. I was sent the wrong report initially. I was then promised the correct report sometime ago but haven't yet received it. everything I needed to know!